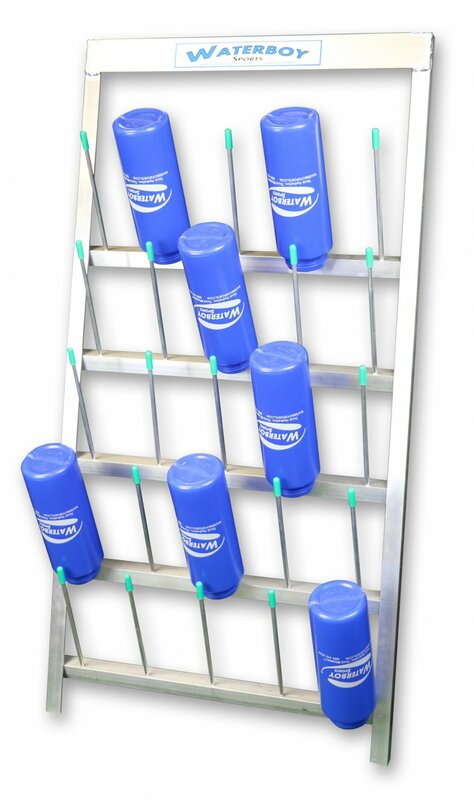 Bottle Rack for drying and storing up to 25 water bottles. Custom, all-aluminum construction. Mounts to wall or 2 racks can form an A-frame stand.